Circuit Boards, Electronic Components and wirings are the essentials while building any Digital or Analog Electronic System. “Printed Circuit Board” or “Printed Wiring Board” came as a solution for point to point construction, are used in all but the simplest electronic products. In the present day, the advancement in PCB manufacturing industry has lead to building of multi-layer PCBs (16-24 layers).The Indian PCB industry not only serves the domestic market but up to 24% of the annual production is exported. 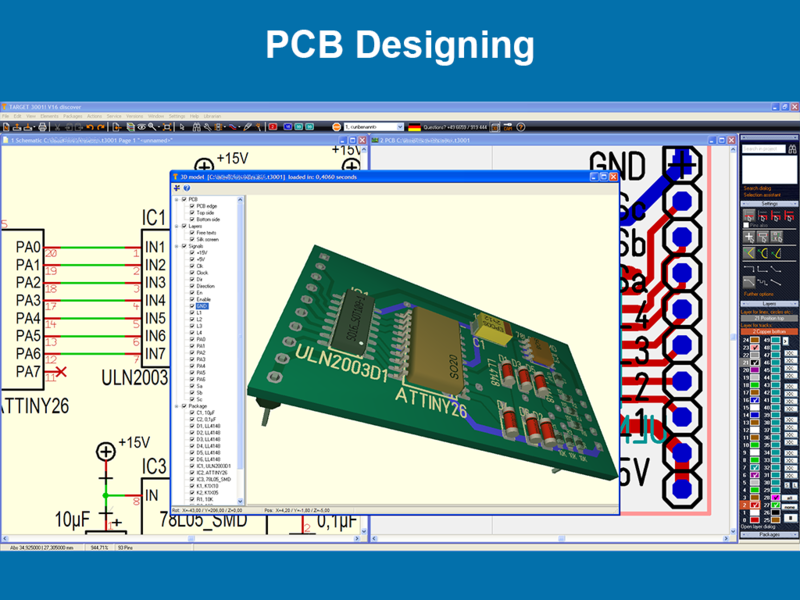 PCB Designing course is a comprehensive know – it – all program which dives deep into the concepts behind designing a circuit board. Students get to use software like ORCAD and design simple and complex circuits boards. They will also get to learn how these boards are manufactured and the soldering process. This course can be considered as a prerequisite for VLSI Design.